Should a holiday on one of Europe’s rivers be your next travel adventure? Then send us a request. A boating holiday on the River Shannon in Ireland is an amazing experience where you can unwind and relax, have fun and discover one of Irelands most scenic areas. Here you will find hundred-year-old monasteries, lush landscapes, dramatic scenery and quaint small towns with a big heart - and you have all the ingredients for a perfect boating holiday. 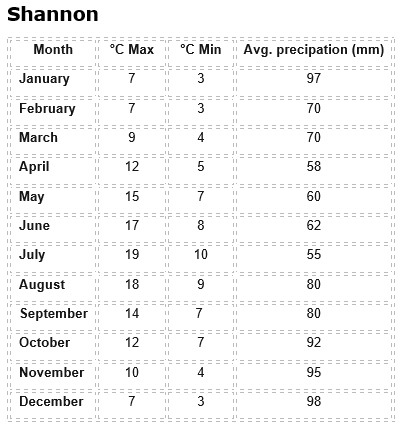 It's no wonder the River Shannon with its boating culture is such a popular holiday choice in Ireland. Le Boat port - Shannon is a charming city with approximately 2.500 inhabitants. This is the largest center of sailing in Ireland, and it is the perfect baseline for a fantastic river boat vacation on a beautiful river. Le Boat port in Portumna - Portumna is at the northern end of beautiful Lough Derg - where visitors can drop the anker and moor at the marina in Portumna Bay.